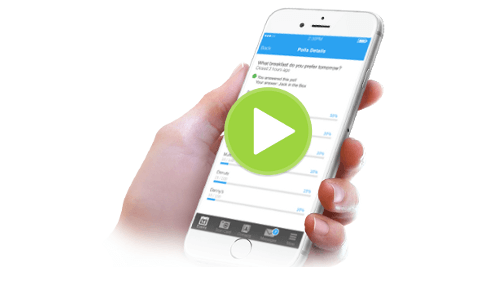 Effortlessly gather votes and get an accurate count! 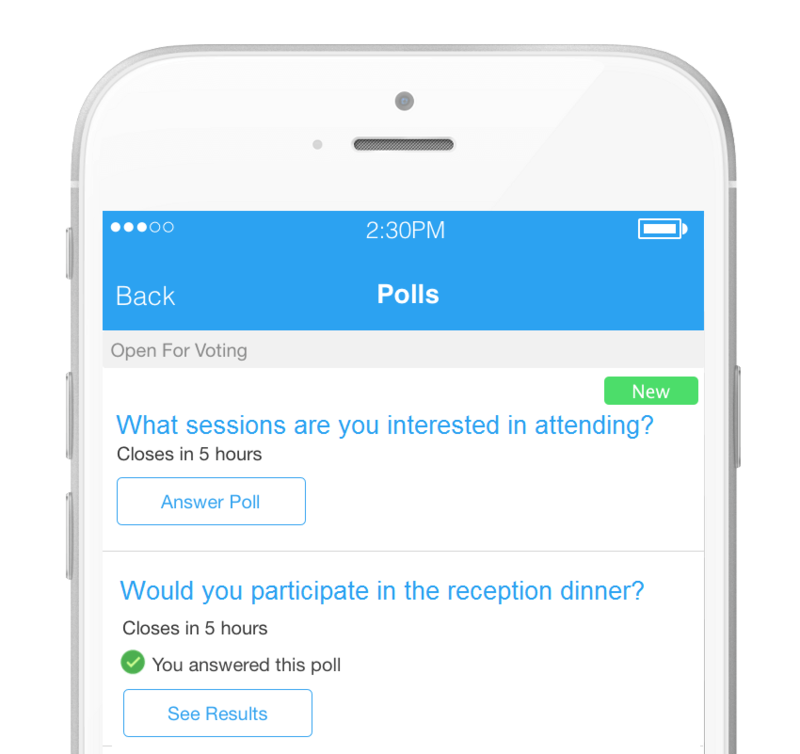 Attendees can vote not only through the Whova app but through an email. Use templates that have made so many events engaging! Save time and money! Make quick and informed decisions on catering, room size, and event programs based on the interests of your attendees. 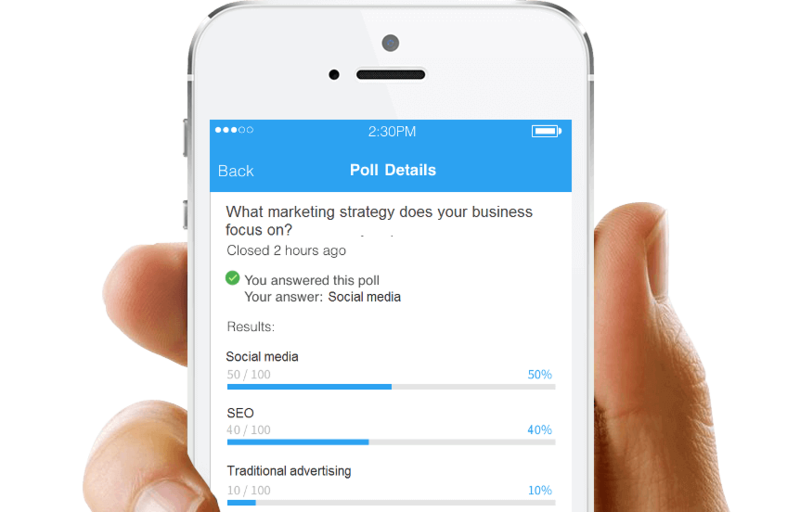 Live polling has many uses! Encourage discussion in sessions with thought-provoking questions. Watch everyone’s instant responses dynamically roll in.